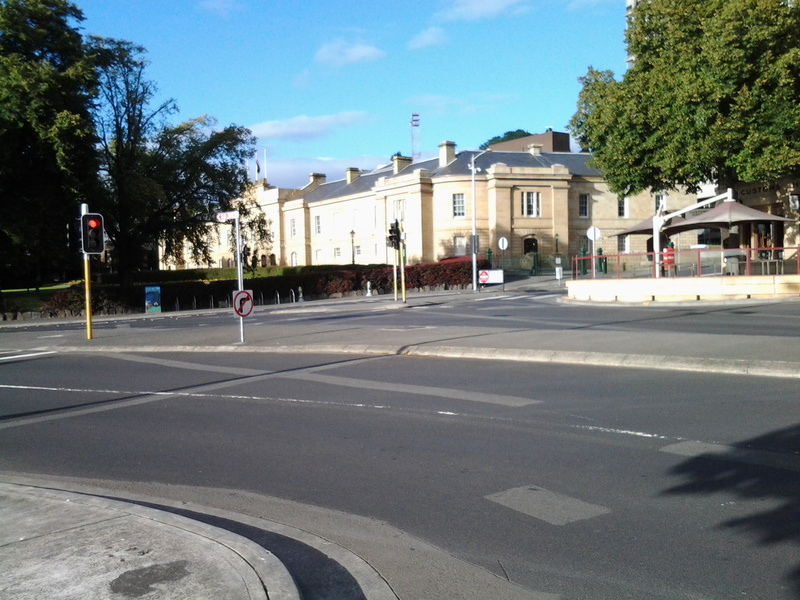 Preceding Salamanca Place where the famed Salamanca Market occurs every Saturday throughout the year, Tasmania’s House of Parliament sits atop a green leafy Parliamentary Gardens on the other side of Morrison Street away from the Derwent River. 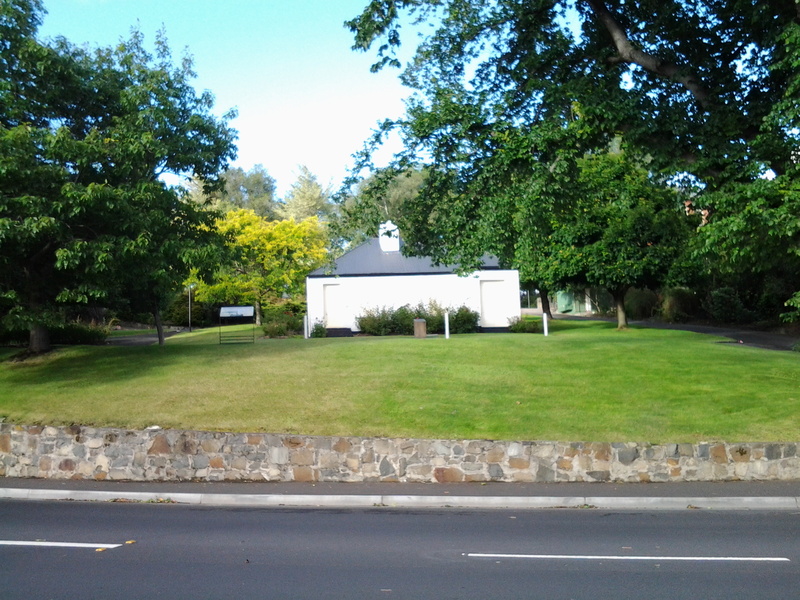 I walked past this on Stage 11 of my walk along the Derwent River, at 7.38am. 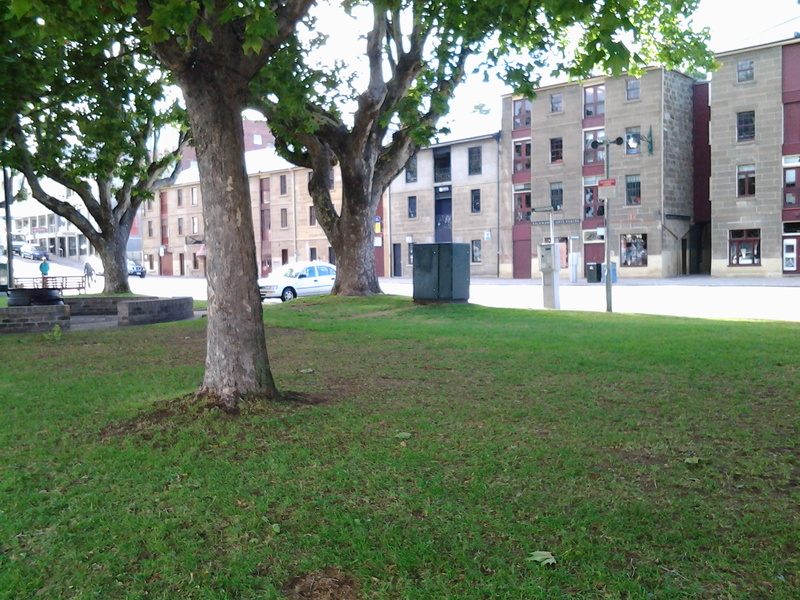 I continued around Princes Wharf as close to the River as possible and joined Castray Esplanade. 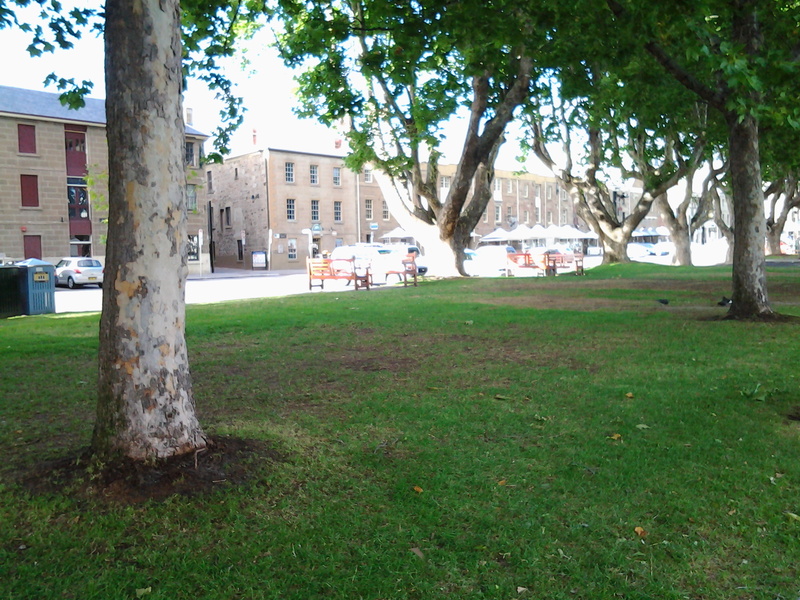 Within a couple of minutes the historic buildings of Salamanca Place were separated from me by the strip of Salamanca Gardens. 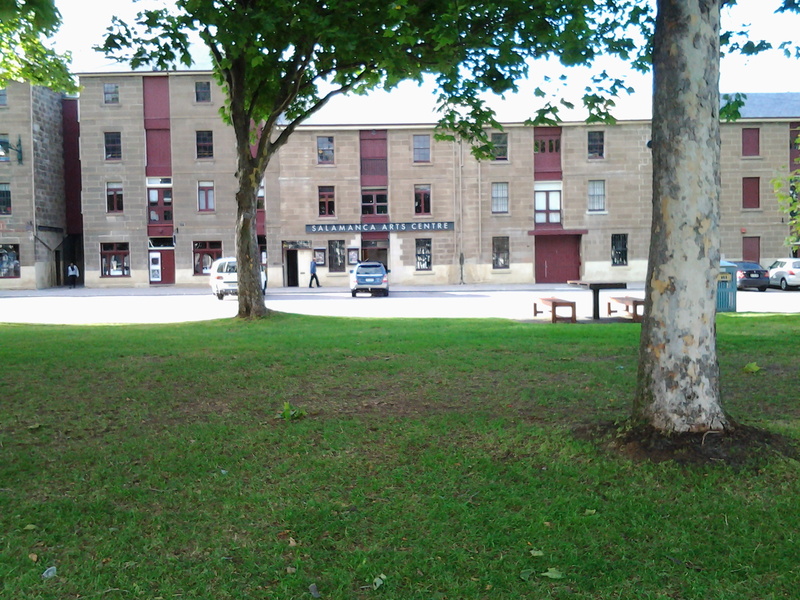 Most of these sandstone buildings were built early in the 19th century and therefore present a considerable part of the story of the early history of Hobart settlement. 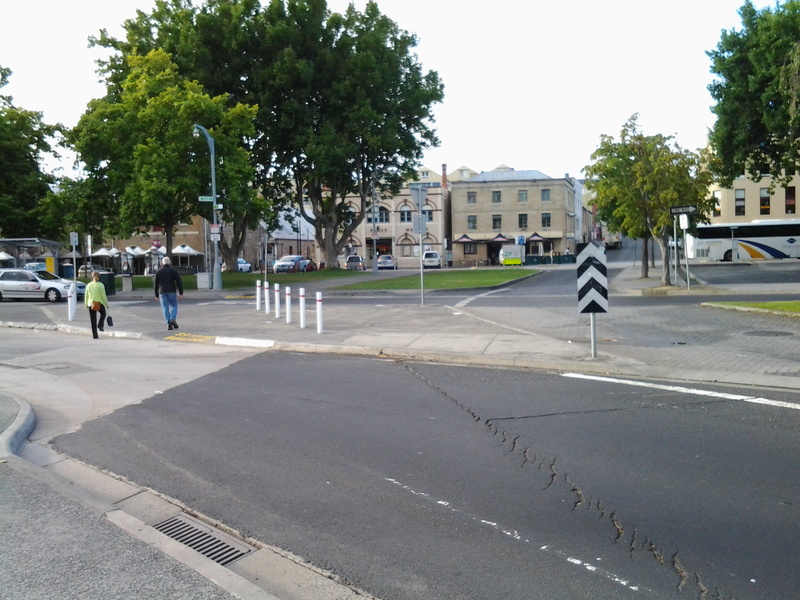 By 7.43, I had almost reached the southern end of Castray Esplanade, was passing the Institute for Marine and Antarctic Studies, and could see the old buildings on Hunter Street away in the distance. 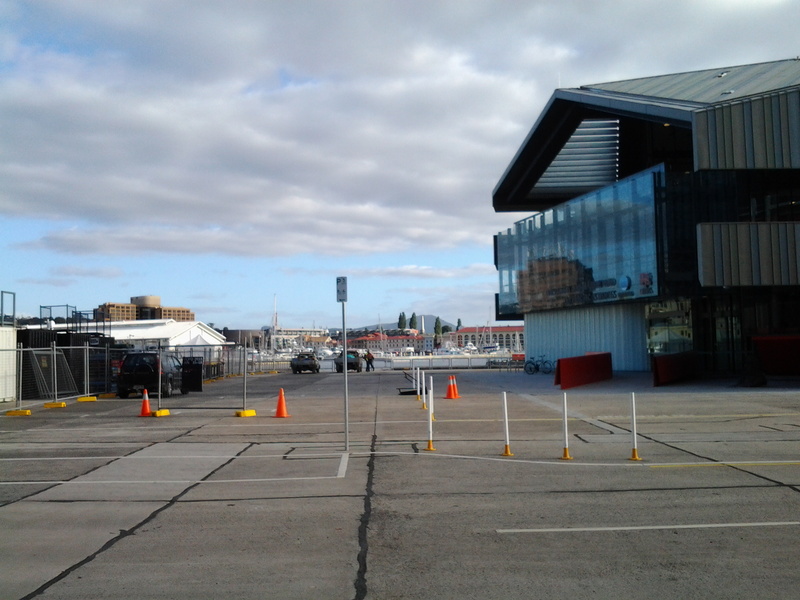 A few minutes later I was abreast of the CSIRO Marine Laboratories, behind which I could see that Tasmania’s latest massive ice breaker ship was in port, presumably loading up before travelling to the Antarctic. 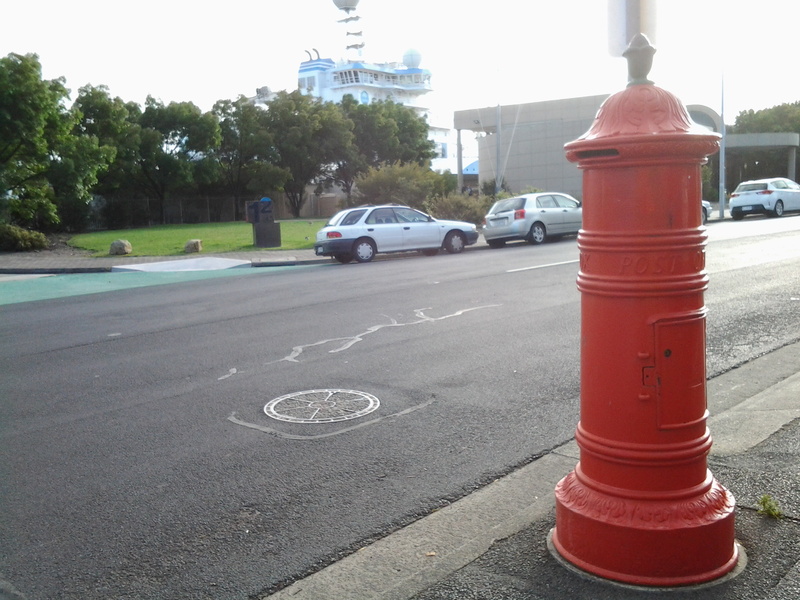 Before I reached that location I passed a very red piece of history; an old fashioned postal box. The large scale of this ‘box’ made me stop. I marvelled about how much postal material must have been in circulation in the 19th century to warrant such a beast. 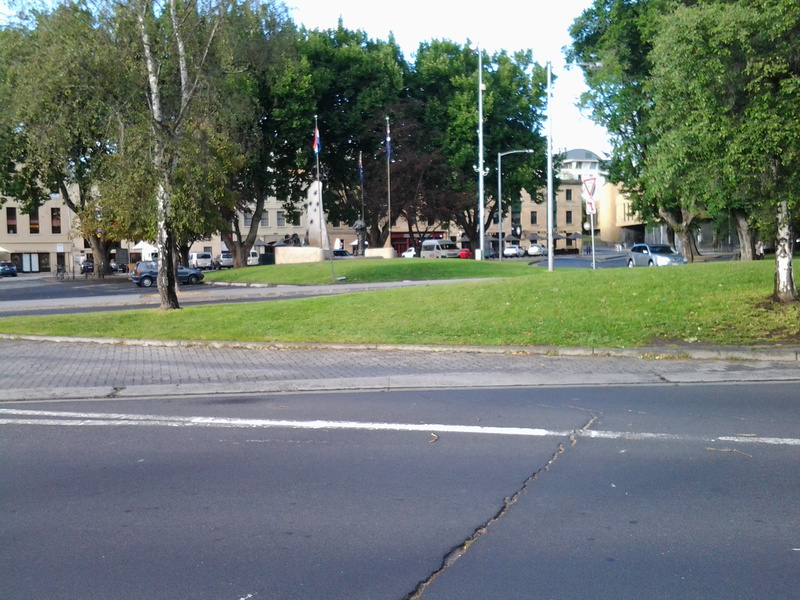 At 7.50pm the tiny Princes Park was opposite. 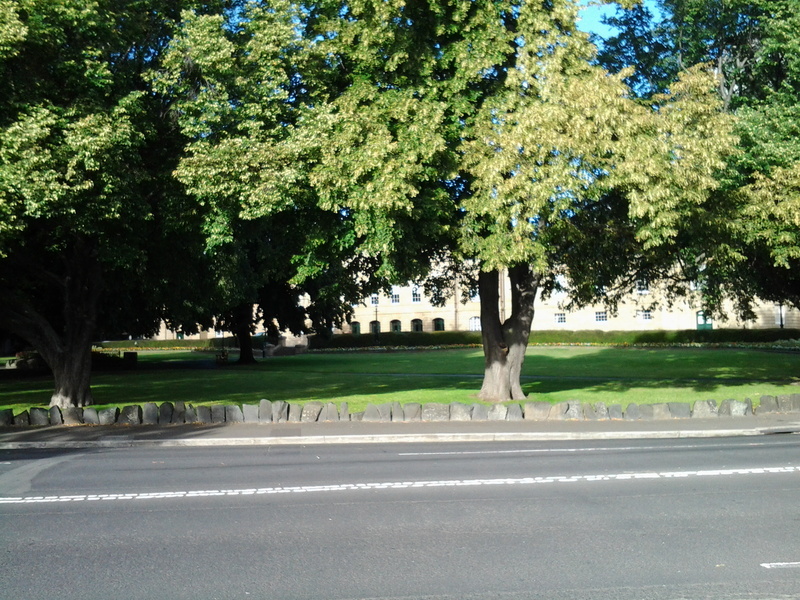 Near the end of the Laboratories I took a walking path to the left through a car park to the edge of the Derwent River. The photo below shows my view as I continued my walk toward Battery Point. 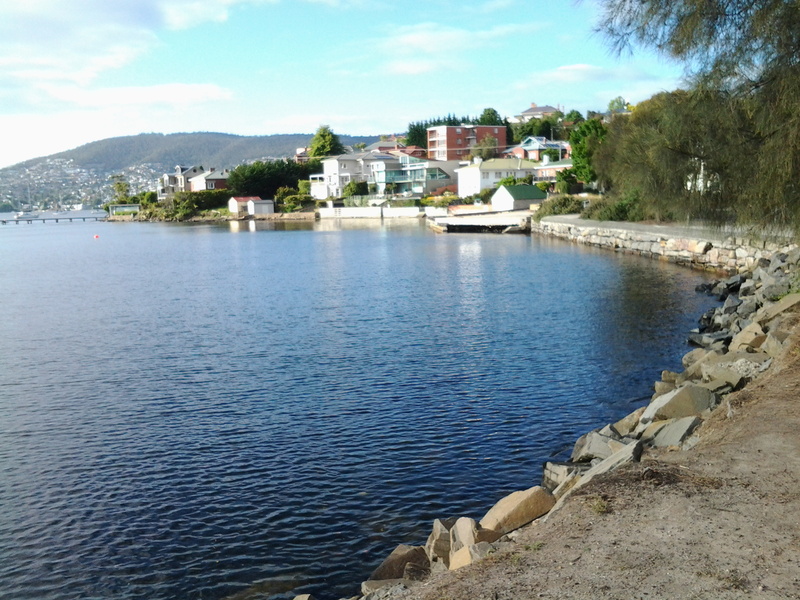 This entry was posted in Derwent River, Hobart, Tasmania, Walking and tagged Battery Point, Castray Esplanade, CSIRO Marine Laboratories, Institute for Marine and Antarctic Studies, Morrison St, Parliament House, Princes Park, Princes Wharf, Salamanca, Salamanca Gardens, Salamanca Market, Salamanca Place, Tasmania's House of Parliament on January 24, 2015 by Tasmanian traveller.